Welcome back to Cardigan Fridays, friends! This post originally ran on the blog a few months back, and it received such a great response that I thought it was worth an encore. 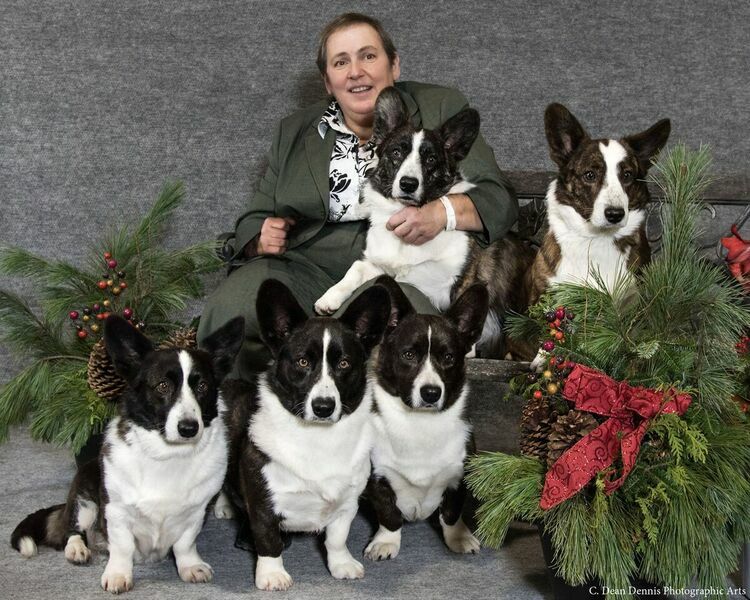 I’m very pleased to present a guest post today from someone with decades’ worth of experience as an owner and breeder of Cardigan Welsh Corgis. Shelley Camm lives and works in Canada and is on the path to become a judge, having previously judged sweepstakes and matches. She is as accomplished, fierce and educated an advocate of Cardigans as any I’ve ever encountered. I asked Shelley to write an educational piece on Cardigans for The Daily Corgi for prospective owners, not just because she has ample depth of knowledge and experience, but also because she is a gifted writer capable of expressing herself with clarity, vigor and uncommon candor. Shelley does not sidestep controversy. In other words, she says what she means. She means what she says. The integrity of the breed is an important touchstone in talking about ownership, and Shelley addresses those issues frankly here. She’s been around the block a few times. I believe it’s a worthwhile read. Shelley will be back again for more Cardigan Friday contributions. 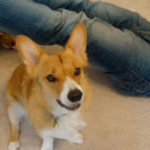 After today, her Cardigan Welsh Corgis 101 will be available for reference as a permanent page here on The Daily Corgi. Simply click “breeds” on the menu bar above and choose “Cardigans” from the drop down menu. Shelley Camm’s bio and contact information follows the article. I think that these have to be the two most common questions that we get asked as Cardigan Welsh Corgi owners. Like the lesser known sibling of a famous movie star, Cardigans have their own special traits and their own personality. 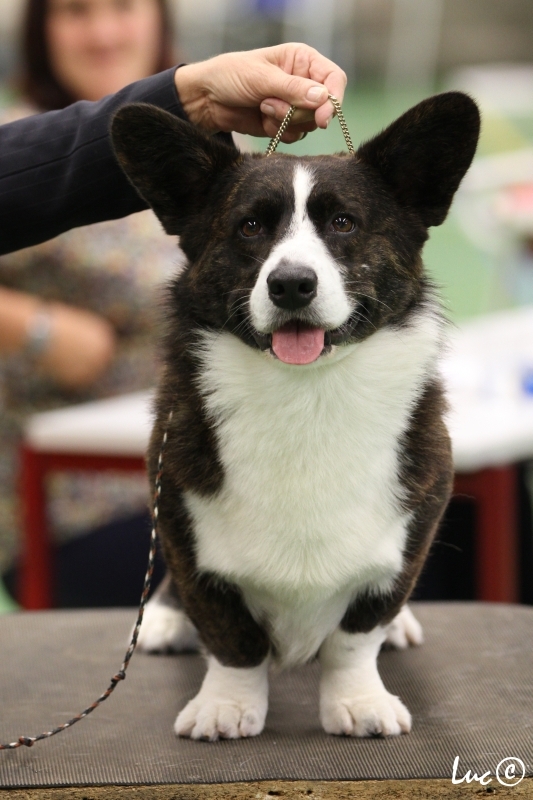 The Cardigan is actually the older of the two breeds of Corgis, and come from the Cardiganshire area of Wales, a more mountainous, rougher terrain than the beaches of the maritime Pembrokeshire. As such they have adapted differently. 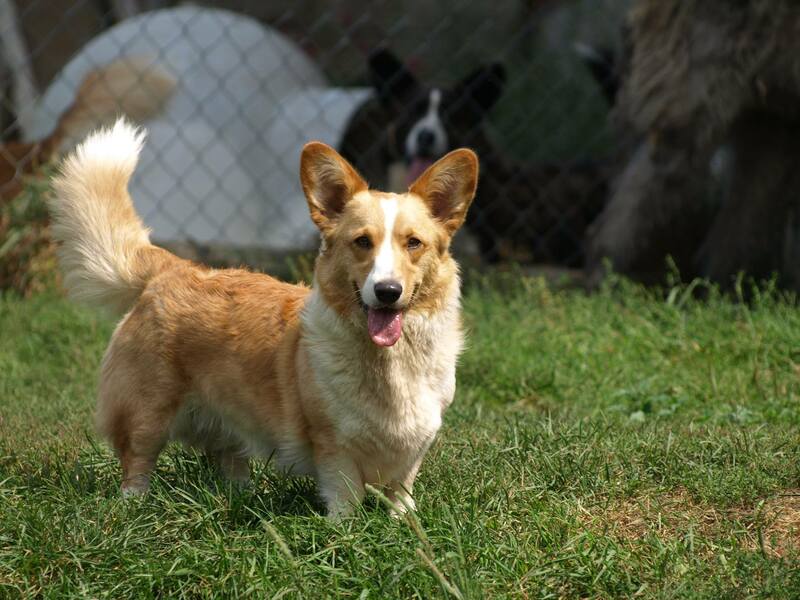 Cardigan Welsh Corgis have big fat marshmallow feet for travelling over rough terrain, they are a longer and heavier dog, and being primarily a farm dog, they have a less outgoing “let’s party’ personality than the Pembroke. They are a more serious dog in all they do, be it working livestock, participating in obedience, taking care of the children or watching the homestead. When you meet a corgi for the first time there are several differences that should clue you in to which type of dog you are looking at. The colour – Pembrokes only come in red and white, sable and white, and red-headed or black-headed tri. That is it. The Cardigan gives a greater variety of colors; in addition to red and white, and sable and white, there are also brindles of all shades from wheaten, through red and black, and there are blue merles. The black and whites also come in two varieties, tan pointed (red cheeks and eyebrows) and brindle pointed (brindled cheeks and eyebrows). We call it the luxury edition of the corgi because you have a greater variety of “upholstery”. 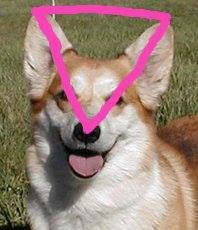 The head – Pembrokes have a head like an equilateral triangle measuring ear tip to ear tip to nose. The Cardigan head is more of a blunt wedge with the muzzle being 3/8 and the back skull 5/8 of the head. 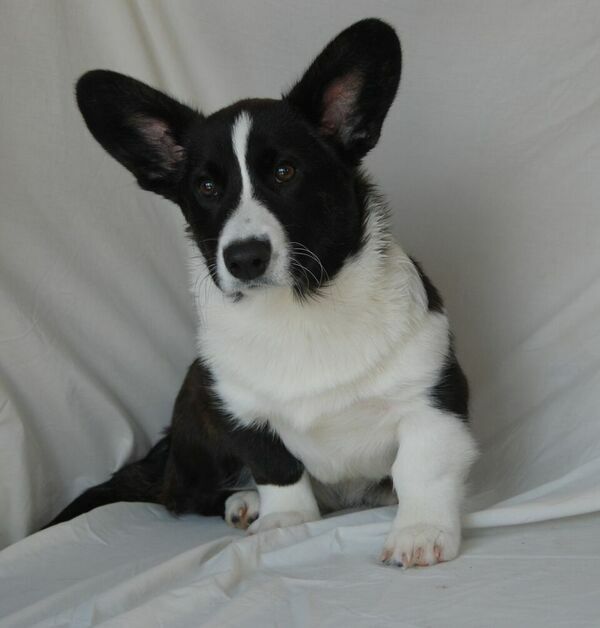 The Cardigans ears are larger and rounder than the Pembroke and set lower. Pembrokes have tear dropped shaped feet and oval bones, Cardigans have big fat round feet and round bone. A Pembroke front should be straight from the shoulder to the ground, a Cardigan should have a curved upper arm around the chest, and straight pasterns, with feet turning out no more than 15° on each side (like 11 and 1 on a clock face). And the last sign is the tail. In most of North America, tail docking is still allowed and it is common to dock tails on Pembrokes. 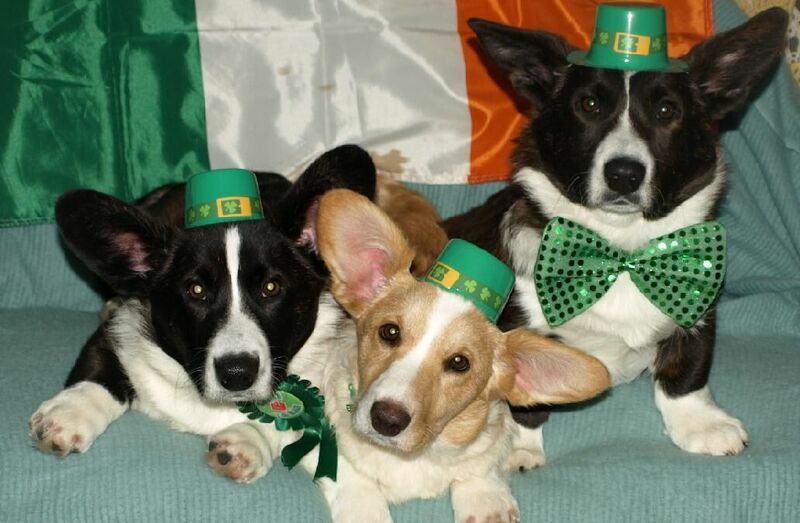 This is not permitted in Europe or Australia, so you will see Pembrokes with tails, but they are immediately identifiable as Pembrokes by the characteristics listed above. Cardigans always have had and always will have full tails. Unlike the happy-go-lucky Pem who knows no strangers, the Cardigan is more discerning in who they are willing to become friends with and will ask “Have we been introduced?” Once you have been accepted by a Cardigan you are “in” and immediately become part of the pack to share his or her joy and protection. When working, the Cardigan takes their job more seriously, be it herding, agility or obedience. Because they are intense, care must be taken keep them happy and not let them become bored or lose interest. Cardigans should not be worked in higher level agility activity or jump on and off heights (like furniture) until they have reached their full growth (between 18 and 24 months) and the growth plates have closed. Because they are a front heavy dog with a deep chest, this type of pounding on the growth plates could cause valgus deformity as a result of premature closure of a damaged growth plate. Most Cardigans are good with children when raised with them, and are excellent companions ready for any adventure. Care must be taken that children do not hurt the puppy especially by picking it up incorrectly, and that young children are taught to respect an older dog’s “space”, whether that be a bed or a crate where they put themselves for “time out”. I have several homes where older Cardigans have become slavishly devoted to newborns in the house who arrived, later willingly setting themselves up as pillows, teething rings and walkers. Know your dog, and if it shows signs of being uncomfortable (walleyes, lip licking, pulling away) teach it to go to it “safe spot” and prevent children from following. Never leave toddlers unsupervised with a dog. Cardigans are an all-around fun dog and will work very hard to please you. 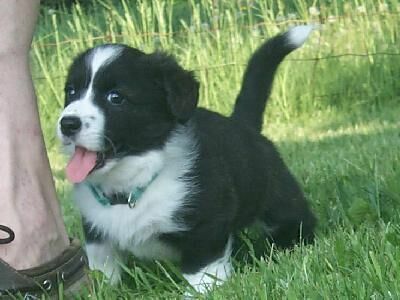 Although not every puppy is good for every job, a responsible breeder can match you with a puppy solely as a companion, or for obedience, agility, herding, therapy dog work, tracking, or nosework. There are so many fun things you can do with your Cardigan. 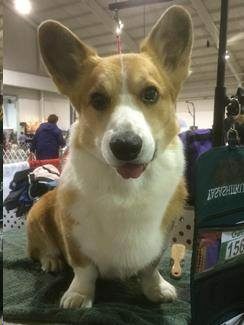 If you are interested in trying your hand at showing, go to a local show and meet with breeders who are doing well in conformation, and be prepared to wait to find the right puppy. Cardigans have so many wonderful breed traits that attract newcomers to the breed. They are extremely intelligent and learn quickly (both the good and the bad). They have a fun personality that makes them want to be part of their families’ activities, be it sitting on the couch, taking a hike, or swimming in a lake (Some are waders, and some are swimmers). On the negative side they can be barkers if not trained early. They shed like a buffalo twice a year blowing out their full undercoat that you literally pull out by the handful. And some individuals can be stubborn about housebreaking – however with firm consistency they will get it – and once they get it they don’t lose it. Where can I find a good breeder? What health testing should I be asking about? Experience – ask how long they have been involved in Cardigans. Reasons for breeding – Is there an actual purpose to their breeding? Someone who is involved in Canine sports such as herding, obedience, and conformation shows is going to breed to a much higher standard than someone who only wants to sell puppies. Guarantees – What is guaranteed and for how long? Do you have to give your dog back if something is wrong in order for them to honour the guarantee? Will you want to give back a dog you have raised for many years? How is the guarantee honoured – refund? Partial refund? Replacement puppy? Visit the premises – if possible go and visit the premises yourself. See how the dogs are raised. Are they in the home, or outdoors in a separate building? 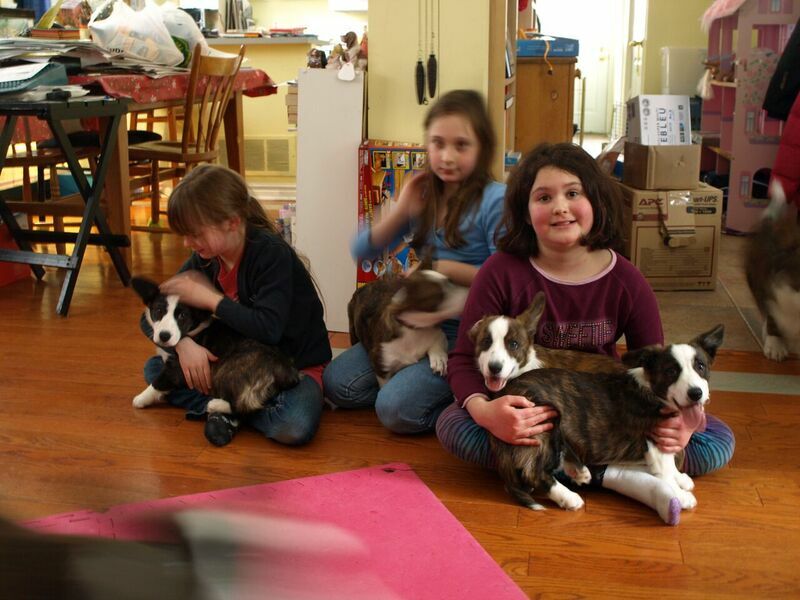 Ask where puppies are raised (in the middle of the household or in the basement or garage). How do they match puppies to families? Some people want to pick their own puppies, but most reputable breeders want to match the correct puppy to each family based on more than colour. Do they do any puppy aptitude testing? How are puppies stimulated during development? What are the temperaments of the parents like? What registry will the puppies be registered with? If it is NOT American Kennel Club, Canadian Kennel Club, or The Kennel Club (UK) or another SPECIFIC COUNTRY REGISTRY – then it is a fake registry and your registration is worthless. These fake registries include, but are not limited to, Continental Kennel Club, National Association of Purebred Dogs, etc. Will the puppy be crate trained before it leaves? What type and size of crate? And ask to speak to people who have purchased from the breeder previously (and specifically ask to speak to a couple who have had issues to find out how the breeder handled them). Ask what the average lifespan is for their dogs – you should be able to see dogs of at least those ages in their home! Why do I care so much where you get your dogs from? 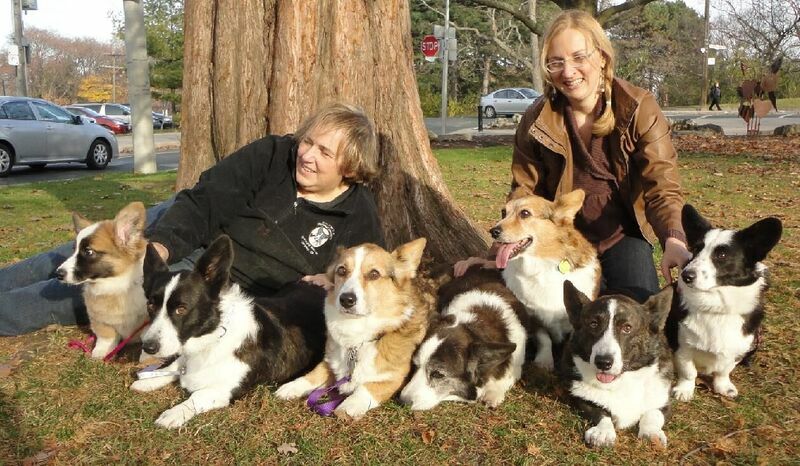 Since I got on the internet, first on Corgi-L and Irish Wolfhound-L, then on IRC Corgi and Wolfhound chat forums, and now on Facebook, I’ve seen that responsible and ethical breeders are the ones who must provide the “clean up service” for the puppies produced by casual breeders (sometimes referred to as “backyard breeders”). My puppy buyers are told to call me – day or night – when they are worried about their dog. After 45 years with dogs, I have seen a lot. I can advise them whether they are likely to be okay, or if they should be rushing to an emergency vet. I can give input on treatment options, and if they need me to be there, I will go along for that final vet visit. However, those who purchase from “backyard breeders” don’t have that option. Once their payment has cleared and the seller is no longer interested in knowing about the puppy, buyers are likely to go to public forums when they have a worry, a concern or a question. Some are simple questions that anyone can answer. But I can’t begin to total up the hours I have spent on email and chat and the telephone with people I don’t know (and who I will most likely never meet), discussing problems from growth issues to housebreaking, from food to diarrhea. As a breeder I feel a moral obligation to help dogs in need, whether I produce them or not. I just can’t turn my back on someone who is frantically looking for information or advice. Another reason I care is because of dogs like “Possum”. A short time ago Possum came into rescue – the product of breeding a blue merle cardigan with a Pembroke that “appeared” to be sable but carried a cryptic merle gene – and he fulfilled that prophecy being totally deaf and minimally sighted. 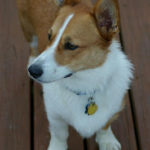 You can read read about Possum’s journey on his Facebook page Possum the double merle Corgi. Another issue is the lack of rescue. Because the people producing these dogs don’t take back what they produce, when they don’t work out, the dogs get dumped in shelters. And then the rescues need to go and pull them out, get them vetted, rehabilitated and rehomed. The people running these rescue programs are once again usually volunteers from the purebred dog clubs, and the rescues are funded in part by purebred dog clubs. For me, the issue is about saving dogs produced by disreputable breeders and preventing more “Possums” from being brought into the world. I want you to buy a dog from a breeder who will give you support when you need it, and who cares about the quality of the puppies that they bring into the world. A preservationist breeder who cares about the history and the reason that your breed was created, and who does their very best to honour and enhance the work of those who went before. A breeder who takes the time to educate themselves and to mentor others to do the same. A breeder who, through their membership in a breed specific club, has helped to develop testing for genetic markers to eradicate possible genetic diseases. If you want to find good breeders, contact me! I would rather help you to find the right dog in the first place, than to be trying to help you in the middle of the night because your dog is suffering from some genetic malady. Not only will you most likely save money up front (purchase prices can be high), but the money you save in vet bills over the life of the dog will mean even more savings. Doing the right thing benefits everyone, especially the dogs! If you are looking for a rescue, expect to wait. Most breeders are good and take back dogs of their own breeding to ensure they don’t end up in rescue. 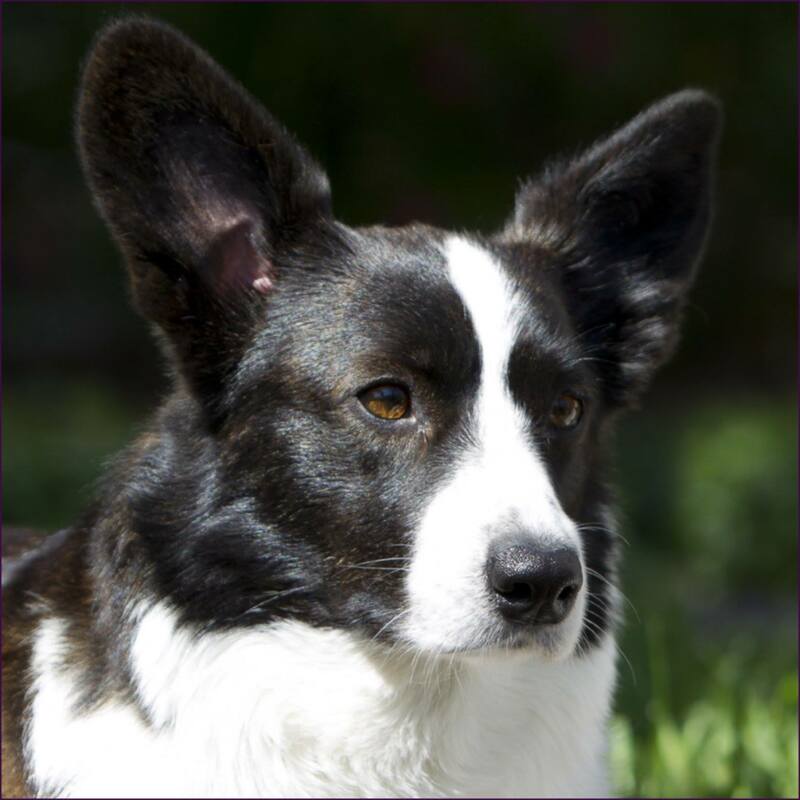 For more information, visit the Cardigan Welsh Corgi National Rescue Trust. 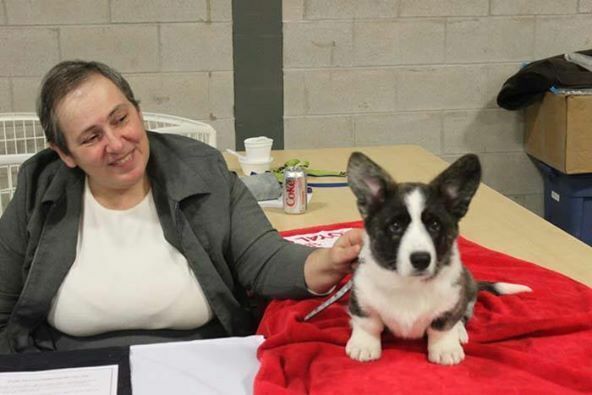 My name is Shelley Camm, and I have had an obsession with Cardigan Corgis for the past 40 years since I met my first dog, a blue merle named Max, at an obedience match. 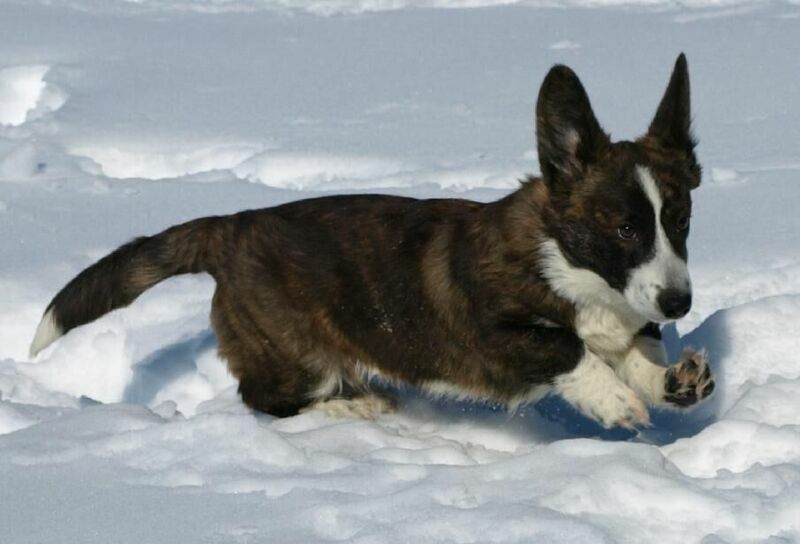 In 1989, my first Cardigan, Penny, joined my family, and I bred my first litter in 1992, giving me almost a quarter century of breeding and exhibiting this delightful breed. I feel that I was very fortunate to have had the opportunity to learn from some of the breed’s most well-known breeders and custodians, and feel that I have an obligation to pass on the education and wisdom that they shared with me. I enjoy putting on judges’ education seminars and helping novices who want to learn. Having 27 years of experience in the breed, I have had a lot of good and bad experiences. I am not afraid, when unable to answer a question myself, to go to people with more experience to get answers. I hope that you will continue to challenge me to educate myself by keeping the tough questions coming. Contact me with inquiries, and your question may appear in a future Q & A feature on Cardigans here on the Daily Corgi. 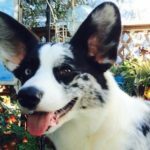 Cardigan Corgi Roll Call: 58 Faces and I Want YOURS Too! 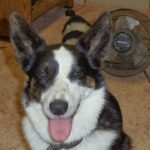 CorgiPals goes 501c3 … GOOD NEWS: goal reached!! I had 2 cardis from 1997 until 2011. My male Justice was brindle and white, best dog anyone could ever want and I miss him every day. My female cardi was Terra, blk and wht. She loved her voice, hated fireworks and was the smartest dog I have ever known. I now have a Pem, Joey. He is my child. They have a lot of differences but a lot of similarities too. Great and informative article. Glad to learn it will be kept as a reference. A comprehensive and interesting article. Lovely photos of a lovely breed. What a great article. Thanks for putting this out ther Lori. Great article , and nice follow up to my Zelda’s story , Thank you Laurie for starting Cardigan Fri. Wonderful, informative article! Thank you! What a lovely surprise to meet you here on The Daily Corgi and thanks for the many wise words. Greetings from another Cardigan fan since 1979.